Caring for your overall health is important, and a vital component of that care is maintaining healthy teeth and gums. When your teeth and gums are healthy, you can enjoy what you eat and drink, speak and laugh with ease and flash that beautiful smile with confidence and poise. Preventative dental care helps you to fight gum disease, infections, tooth loss and even bad breath. Poor dental health may also lead to a variety of diseases and disorders. We believe that your dental health is an essential component of your overall health. We are a complete health provider, meaning we take a holistic approach to dental care and treatment. We’re not merely concerned with your smile; we’re also concerned about your overall health. 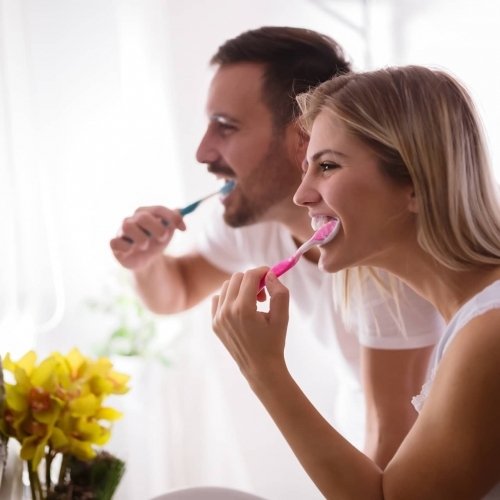 Our approach to oral healthcare is tailored to an individual’s unique goals, needs and physiology – involving nutrition, lifestyle, emotional and physical wellbeing. We’re committed to delivering exceptional dental care for every member of your family. Toddlers, teenagers and adults all receive the same outstanding patient care. Working with a family dental office is more comfortable for everyone – easier to book and keep multiple appointments – easier to ensure that everyone receives the regular dental care that is so important for healthy teeth and gums. Before you choose a dental office, consider the needs of your family. We’re proud to provide outstanding dental care for patients of every age. 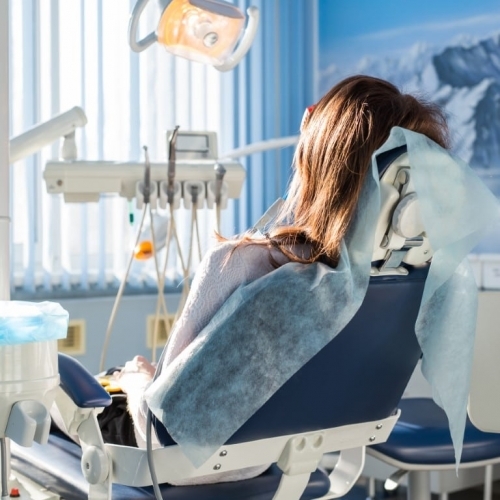 Sedation Dentistry is ideal for people who experience fear or anxiety at the thought of a dental examination or dental procedure. It’s also appropriate for individuals with a low pain threshold, who have sensitive teeth, an extreme gag reflex, require a considerable amount of dental work performed or who can’t help but fidget when seated in the dentist’s chair. Sometimes referred to as sleep dentistry, sedation dentistry uses anaesthesia to help patients relax during the dental procedure. Despite its name, most patients are awake and aware during the dental session except patients under general anaesthesia. Dental emergencies can happen to anyone at any time and should never be ignored. Ignoring the problem could increase the risk of permanent damage and lead to more extensive and ex-pensive dental work down the road. 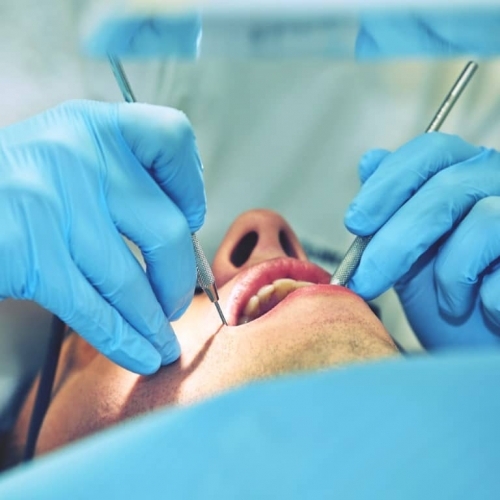 Some of the more common dental emergencies are tooth-aches, chipped and broken teeth, lost or broken fillings and crowns, and the dreaded abscess. Other issues might include broken braces and bands, and even teeth knocked out. If you’re experiencing a dental emergency, don’t panic. The truth is, most dental emergencies are seldom as severe as other medical emergencies. That said, you still need to contact your dentist immediately for an examination and appropriate treatment. Most dentists will block time out of his or her regular daily schedule to allow for emergency patients. Advances in technology over the past few years have been staggering and nowhere have those advances more evident than in the field of dentistry. 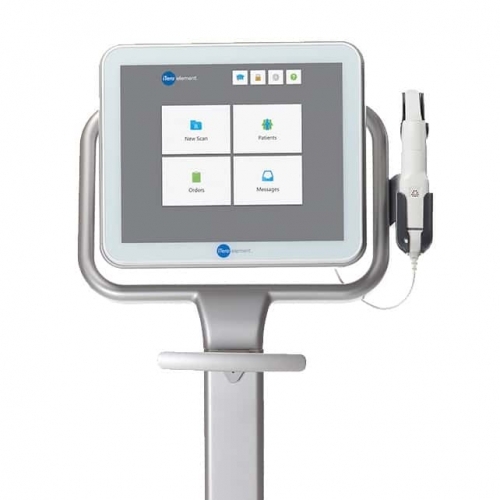 The iTero digital scanner sets the benchmark for orthodontic imaging, capturing an astounding 6000 frames per second – producing an incredibly detailed, real-time 3D visualization of a patient’s mouth. This amazing level of precision allows a dental professional to choose the ideal treatment and lab partners for the creation of everything from crowns, bridges and implants to veneers, inlays and onlays. In many cases, scans can be sent directly to the lab of choice for processing, dramatically improving turnaround time and the quality of appliances produced. The future is here, today! Modern cosmetic dentistry has one goal in mind, to give you a better smile. 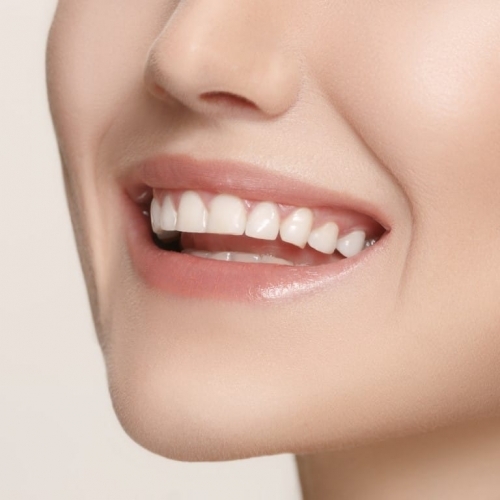 Individuals choose cosmetic dentistry for a variety of reasons and some of the most common are worn, chipped or broken teeth but other grounds might include discolouration, misaligned, misshapen teeth or even a gap between teeth. Moreover, there’s another less clinical, but equally important benefit – confidence. It has been said, “A smile is worth a thousand words,” and a bright, white, healthy smile is a powerful confidence booster. Research suggests that people who “love” their smile, smile more often. A smile “makeover” can make all the difference, and with modern treatment methods, the results are certainly smile-worthy. Dental implants are a safe, practical and well-established treatment for replacing missing teeth. Dental implants are designed to support one or more false teeth. The process is simple. A titanium screw is inserted into the jawbone to replace the root of the missing tooth, and a re-placement tooth is ultimately affixed to the screw. Over time, the bone grows onto the implant and fuses to it, resulting in a tight, secure and healthy fit that will last for years. Implants can be used to replace one missing tooth or an entire set of teeth. Moreover, with modern dental implant procedures, implants are virtually indistinguishable from natural teeth. For years, dentists across the world have been practising dental restoration procedures with varying results. Today, there’s a new option – Digital Smile Design or DSD. 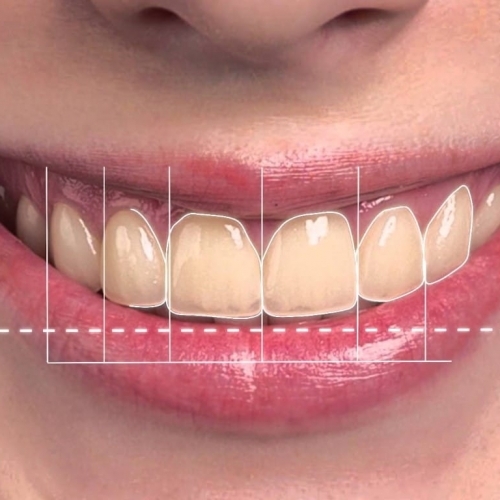 Digital Smile Design is a radically new dental treatment planning tool designed to improve doctor/patient commu-nication and enhance predictability. 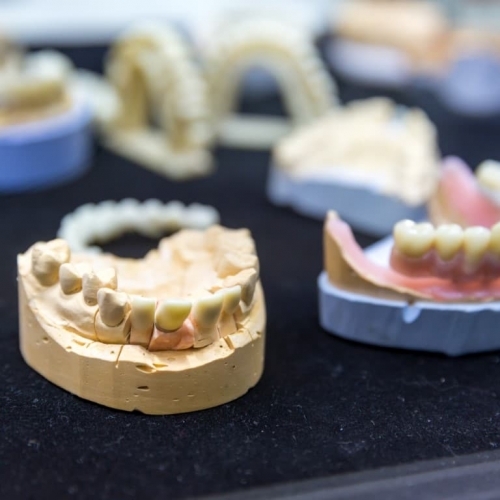 DSD utilizes a series of videos, photographs and mockups to provide practitioners with a detailed analysis of a patient’s dental and facial proportions. The result is a strategy that’s not merely focused on the patient’s teeth but the relationship between teeth, gums and lips – the result being a perfectly crafted smile every time. It also takes into consideration the emotional needs of each patient in relation to his/her smile. Digital Smile Design (DSD) is on the cutting edge of dental technology and raises the “smile” index considerably, ensuring the best possible restorative technique for each patient. Straight teeth are better! They’re less susceptible to wear, gum disease and tooth decay from bacteria hidden in difficult to reach places. And there’s the added benefit of the confidence boost that comes from straight, healthy teeth and a dazzling smile. Unlike traditional braces with brackets and wires, Invisalign utilizes a series of plastic trays custom-designed for your mouth and fitted to your teeth. Virtually invisible, Invisalign clear aligners are ideal for oral hygiene as they can be removed during eating and for brushing and flossing. They’re also far more comfortable than traditional braces, and no brackets or wires means less discomfort and far less time spent in the dentist’s chair for adjustments. 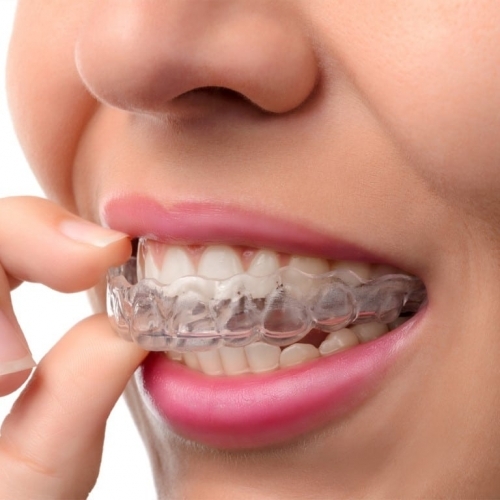 Invisalign clear aligners are designed using state-of-the-art 3D computer imaging technology and have become a popular choice for orthodontists and patients across North America. We are here to educate and advocate for your health: Long term. 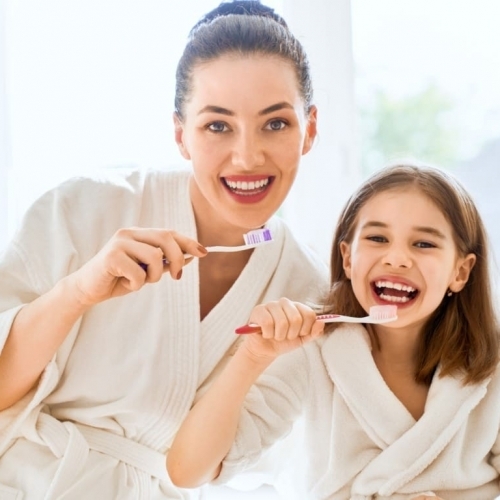 Seeing our hygienists is not just a “cleaning” visit. It’s much more. Bleeding gums are NOT normal. Only your dentist or hygienist can diagnose gum disease. Unhealthy gums cause chronic inflammation and bone loss. Not only do dental problems result but significant health implications ensue. You have a higher risk of Heart attack, Stroke, Alzheimers Disease, Arthritis, diabetes, pregnancy related issues and others. Especially if your family is predisposed. Chronic Illnesses are roughly 20% genetic 80% lifestyle based. Seeing our hygienists is a great health investment.